Sepco Insulated grounding bushing with open side tin-plated aluminum lug, features zinc-plated malleable iron construction for low-pressure applications. It measures 3.38-Inch Dia x 1.1-Inch. This bushing with threaded connection, has trade size of 2-1/2-inches. The corrosion-/chemical-resistant thermoplastic liner prevents damage to wire insulation. This bushing accommodates conductor of size 14-AWG solid - 2/0-AWG stranded. 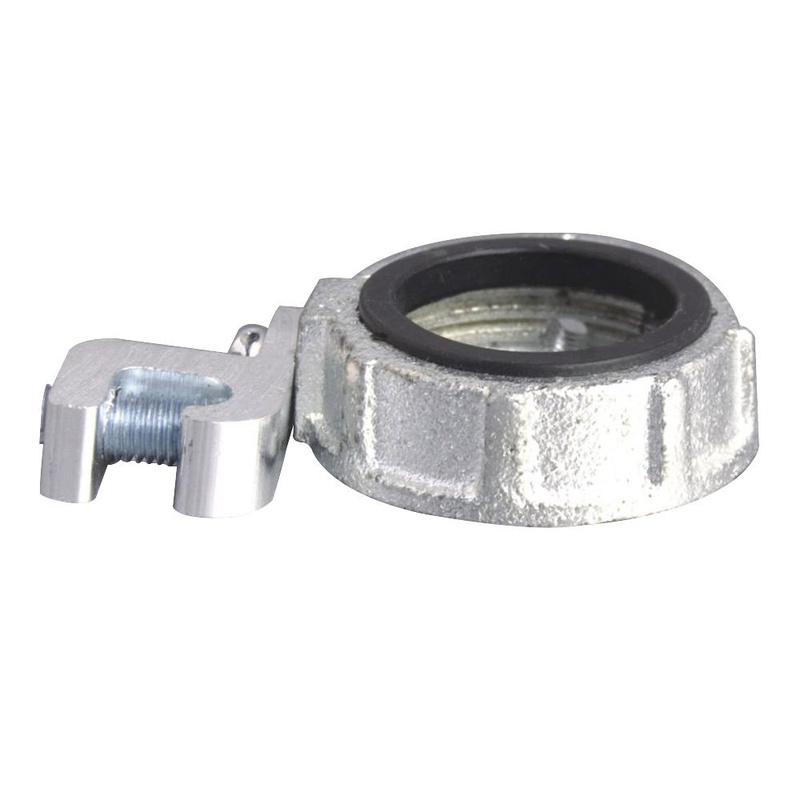 It withstands temperature rating of 150 deg C. This bushing is ideal for use with locknut to terminate threaded rigid and IMC conduit to a box or an enclosure. Bushing is UL listed and CSA certified.